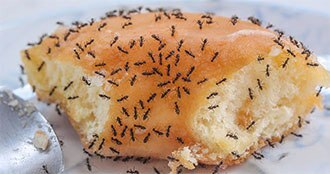 There are over 22,000 species of ant, but fortunately, in the Portland Oregon area, we usually only deal with a few species. 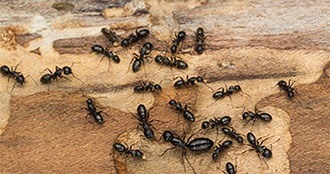 In particular, two species stand out as the most common: Carpenter Ants and Odorous House Ants. All ants have six legs, two antennae, a head, abdomen, and thorax. They live in and support large colonies with workers and queen(s). Most are attracted to proteins and moisture. But there are large differences as well. 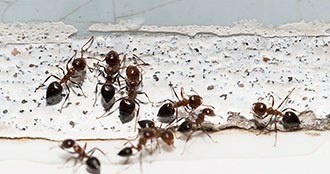 Their sizes range greatly, from a large 1″ Modoc Carpenter Ant to a tiny 1/8″ Odorous House Ant. Some have great destructive potential while others are world-class nuisances. Some are aggressive and others amiable toward other colonies. Regardless of these similarities and differences, all are annoying pests. 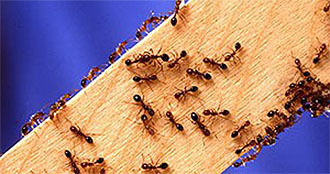 Fortunately, all local ant species can be safely controlled and exterminated by All Pest Control Company. 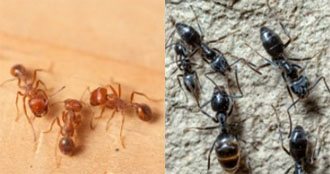 Learn more about the two most common types of ant infestations you will find in and around your greater Portland Metro area home, and how All Pest Control Service can rid you of these pests through their ant control and extermination services. Have you ever been curious to know the difference between red ants and black ants? 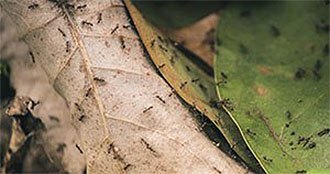 Or ever wondered if ants bite and what to do about it? 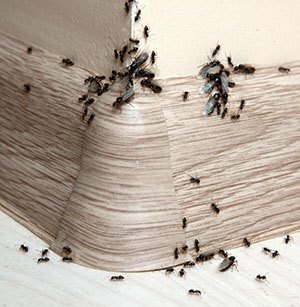 Ants invading your home? 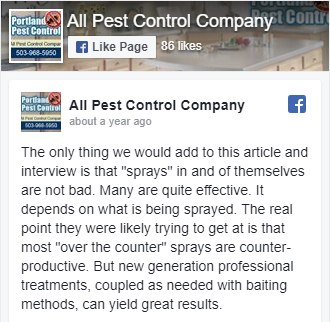 Call the experts at All Pest Control Company and relax!